Just in time for Christmas, the SpidoLite II Titanium Blue has been released by the Danish design geniuses headquartered in London’s Notting Hill. It’s a limited edition of just 75 pieces, and the good news is, following and acting upon feedback, the crown of the SpidoLite II series has become much more accessible. The new Titanium Blue model leaves more space around it, making it easier to access and set the time and date. Many not so nimble fingered customers found the original crown too well protected by the crown guards. Meanwhile the electric blue dial boasts superbly contrasting small seconds detailing and orange indices at 12 o' clock, 3 o' clock and 6 o' clock with small sub seconds at 9 o' clock. The model being made of titanium makes it lighter and ideal as extreme sports watch. The Titanium Blue runs on the same calibre LW04 automatic mechanical movement manufactured exclusively for Linde Werdelin by Concepto based on their own Concepto calibre 2251. 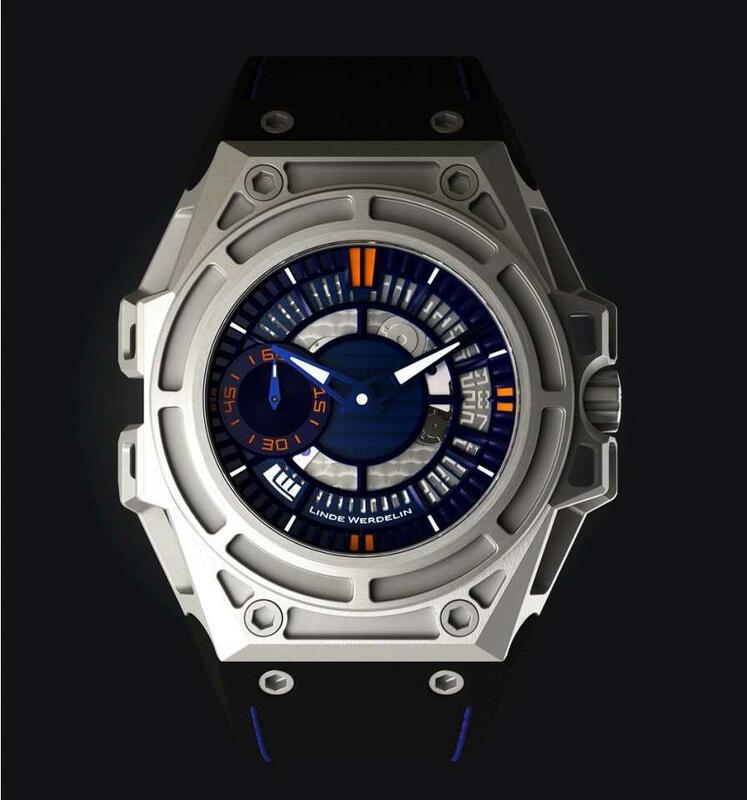 The watch is available directly from the Linde Werdelin site at 10,400 CHF before VAT ehich is around $11,000 at current exchange rates. Look out for the gorgeous Spidolite II in red to be featured here very soon.